Bald Eagle Surveys — Wetland Studies and Solutions, Inc.
December 15 – July 15 is Bald Eagle breeding season in Virginia and Maryland. February - March is the preferred time to conduct a bald eagle nest survey. Active and inactive nests are protected by a 660-foot management zone. The USFWS Service Final Rule, effective January 17, 2017 defines the parameters of take permits. Virginia Department of Game and Inland Fisheries' provides guidelines for landowners. The bald eagle breeding season begins December 15 and continues through July 15 in both Virginia and Maryland. The start of the breeding season serves as a reminder that certain activities are restricted within the vicinity of bald eagle nests to ensure that the species and their nests remain undisturbed. If you are planning to develop land that contains bald eagle habitat, the federal regulations and state guidelines that protect this species could affect your development plans. Though breeding season begins December 15, the ideal time to evaluate whether or not nests are active and search for the eagles themselves is mid-February through the end of March. Early planning and accurate field surveys can help you avoid the schedule delays and penalties that would accompany any violations – and more importantly, will ensure that your project activities do not disturb any nests. While no longer listed as an endangered and threatened species, eagles are protected by the Bald and Golden Eagle Protection Act (Eagle Act) and the Migratory Bird Treaty Act (MBTA), and are particularly sensitive to any human activity near their nests at any time. To ensure development activities don’t disrupt their ability to forage, nest, roost, or breed, both active and inactive nests are protected by a 660-foot management zone. USFWS requires that an independent consultant conduct any bald eagle surveying and monitoring for permits with a duration of more than five years, and report results directly to USFWS. USFWS recommends that such a consultant conduct the monitoring for all take permits, regardless of duration. Wetland Studies and Solutions works closely with state and federal agencies to balance the project goals of our clients with the necessary protection of bald eagle habitat. 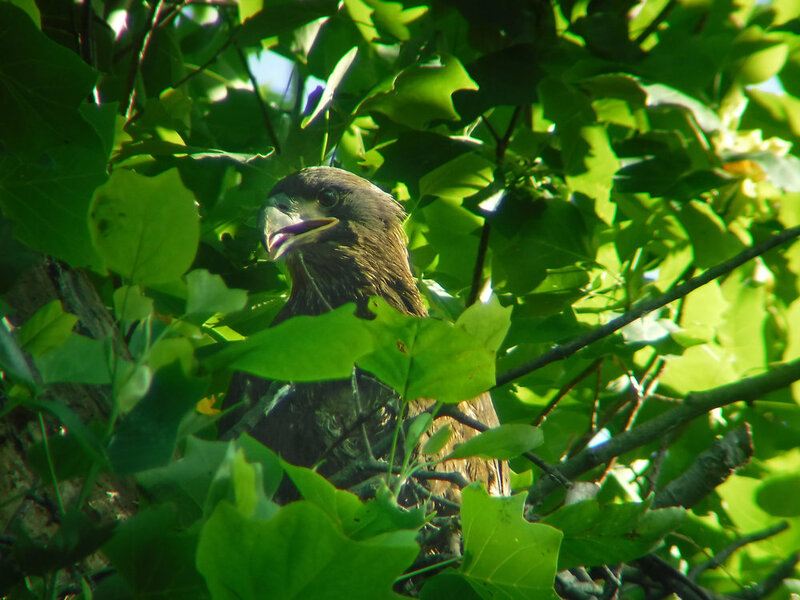 Our environmental scientists have conducted many bald eagle habitat evaluations, surveys, and monitoring in Virginia and Maryland, and our regulatory specialists routinely guide landowners and developers through the coordination and permitting process. If you have questions about bald eagle habitat evaluation or compliance with these regulations, please contact Ben Rosner, Christie Blevins, or Lauren Conner in our Gainesville office, or Mike Klebasko in our Maryland office.